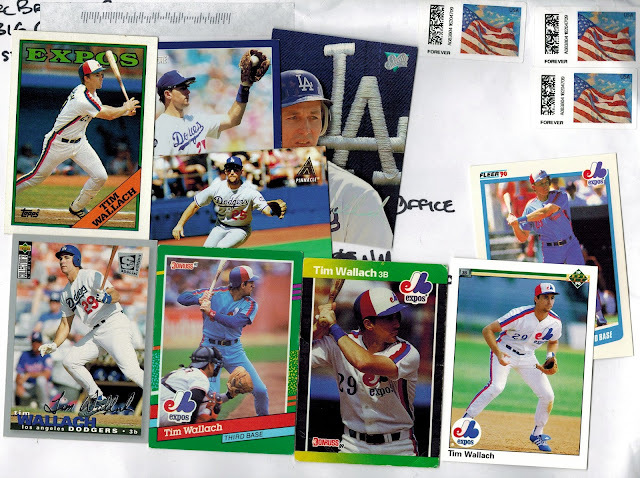 These cards were sent by Marc, of Houston, Texas. Marc operates the blog; "Remember the Astrodome." You should go ahead and check it out, it's well worth a look. 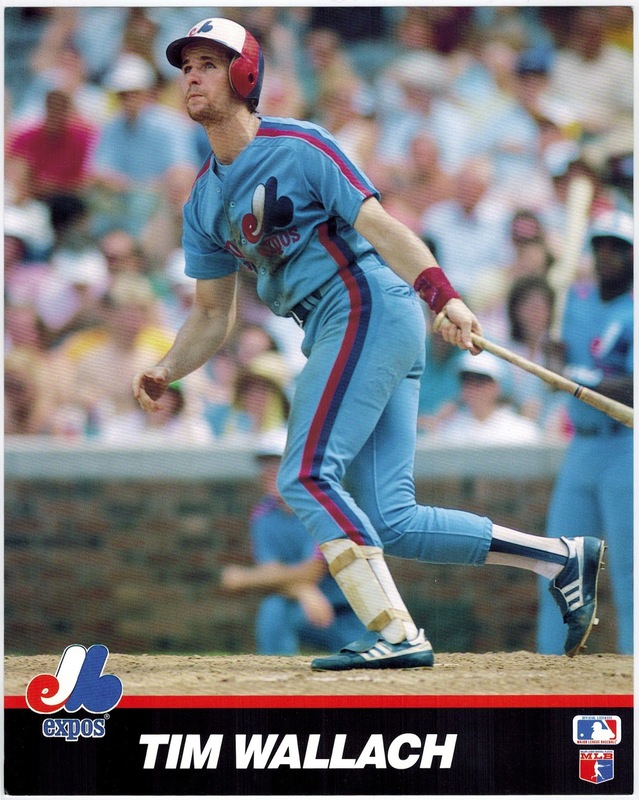 My only complaint, is that given how nice the banner is for the blog, I would have liked to see J.R. Richard in place of bagwell and that awful non-tequila sunrise uniform, and probably would have squeezed in Glenn Davis or maybe Kevin Bass. But that's nit-picking. Included with the nice mix of nine Wallach cards was an 8x10 photo. Not just a standard stock photo though. This one appears to have been put out by some company, presumably as the part of some sort of set? It reminds me of the posters Sports Illustrated used to produce (never a Wallach, jerks), but obviously smaller, and photo quality is very high, much more so than a poster. If you know what exactly it is, please fill me in, I'd love more details. Thanks for the cards and photo Marc. Haha, reworking the site banner has been on my backburner list for about two years now. Definitely more guys that need to be worked in - J.R. in particular. I believe that's a 1989 T&M Sports Photo, although finding details and a checklist is next to impossible. I have/had a couple dozen from a big 8x10 lot I bought - several were sent out among the blogosphere now. I managed to find an eBay listing that mentioned the name, and it fits the same design as the umpire card set they released that year.